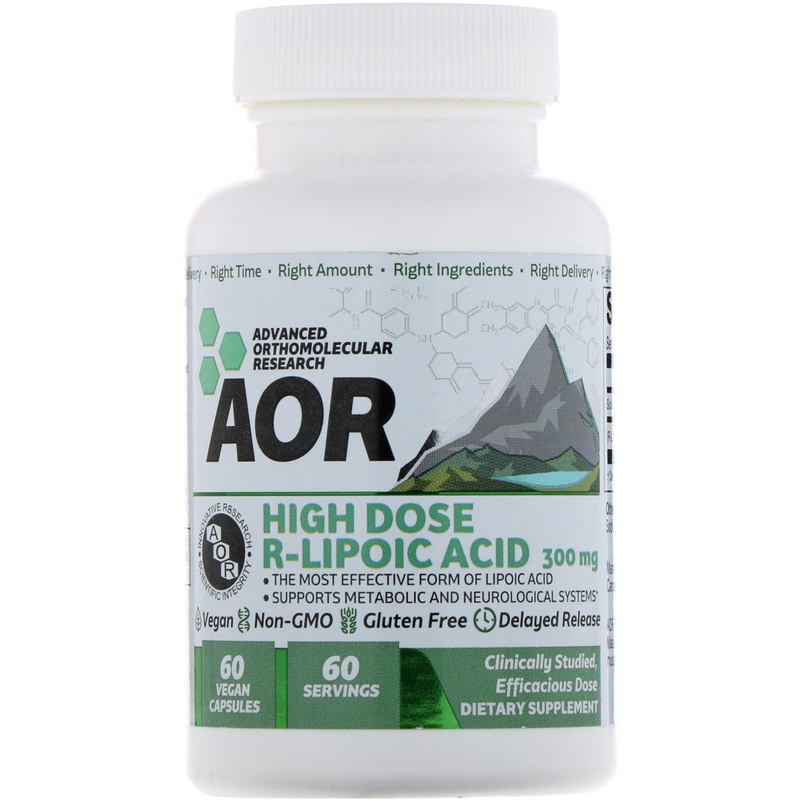 Discussion: High Dose R-Lipoic Acid provides a high dose of powerful antioxidants for the maintenance of good health in a delayed release capsules to enhance its stability and effectiveness. AOR's High Dose R-Lipoic Acid provides the natural 'R' form of this vital antioxidant produced in the body, unlike supplements which also contain equal amounts of the synthetic, inactive 'S' form. Capsule (hypromellose, glycerin and purified water), sodium stearyl fumarate. 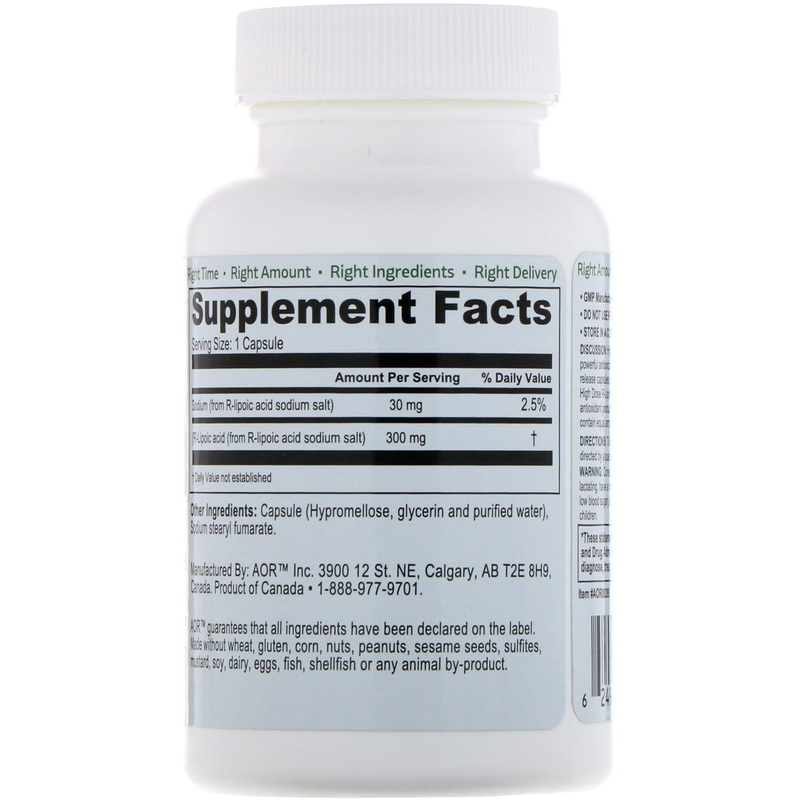 AOR guarantees that all ingredients have been declared on the label. Made without wheat, gluten, corn, nuts, peanuts, sesame seeds, sulfites, mustard, soy, dairy, eggs, fish, shellfish or any animal-by product. Consult your physician before use if you are pregnant, lactating, have a medical condition (like diabetes or if you experience low blood sugar), or are taking any medication. Keep out of reach of children.